Hi there! Just a quick post to recap what’s been happening in my musical world since my last post (March!!). 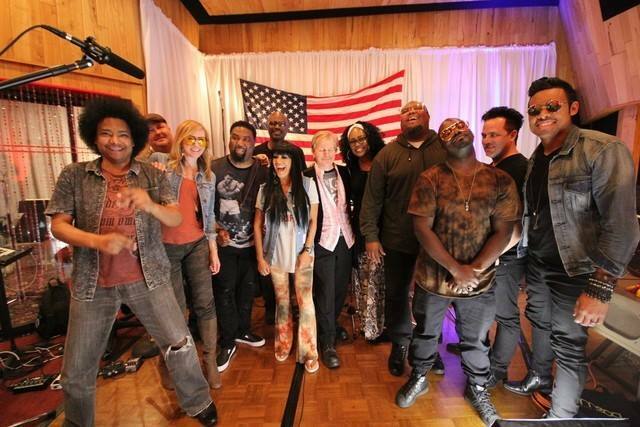 Some highlights from the past few months were working with Sheila E and band! We recorded her new album “Iconic” which features some amazing guest artists and lots of great civil rights-themed songs from the 60’s-70’s. We had a lot of fun in the studio reworking the songs and the horn section came up with some cool parts! 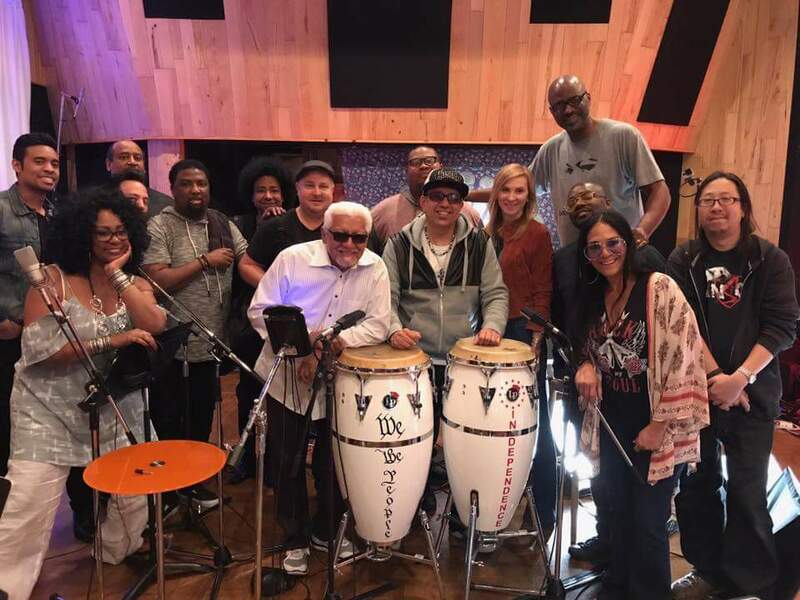 I was fortunate to get a trombone solo on the bonus track “The Ghetto” (which is a latin jazz version of the original Donny Hathaway track) and also features the percussion master Pete Escovedo! I also had a blast this summer performing at a handful of shows with the band, and hopefully sometime in the future will get another opportunity. Also this summer I was fortunate to be able to play a gig with Pete Escovedo for the Juneteenth Celebration in Oakland! It was a very hot day, but there were so many wonderful people who came out for the event and a fun time was had by all. The music was so much fun to play!! I also had tons of fun playing a few more shows with Tony! Toni! Tone!. 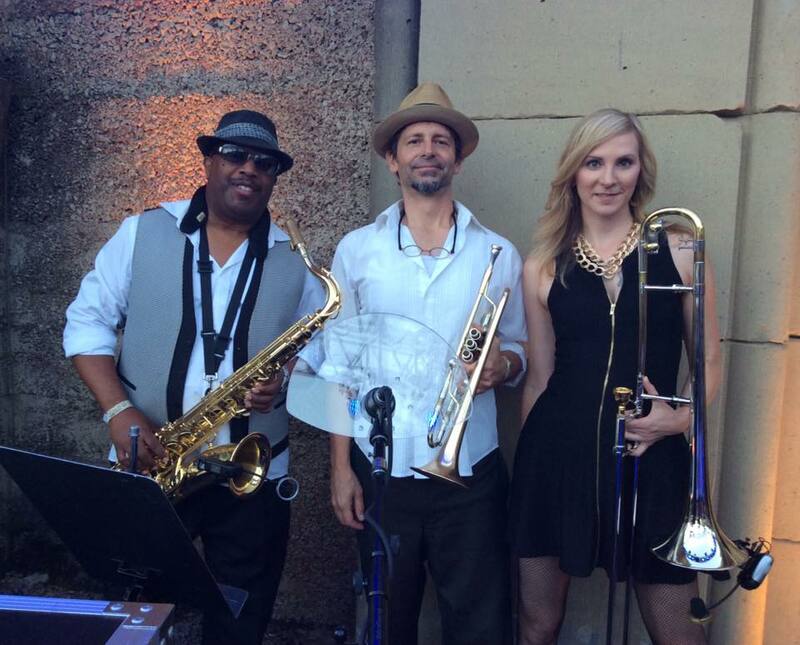 Here’s a picture of the horn section from our gig at Mountain Winery. Earlier this summer I attended the International Trombone Festival and had such a great time being in “trombone-land! 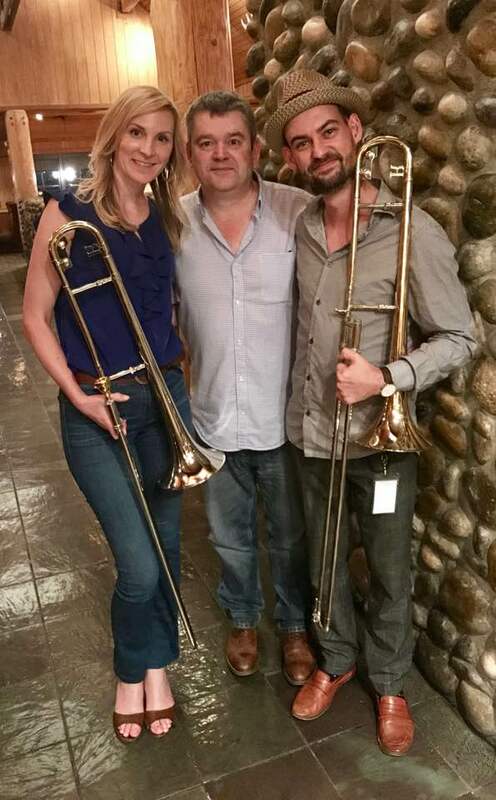 !” I even found my new horn and Matt Hall and I were able to spend a special fun evening hanging out with the owner himself, Michael Rath! 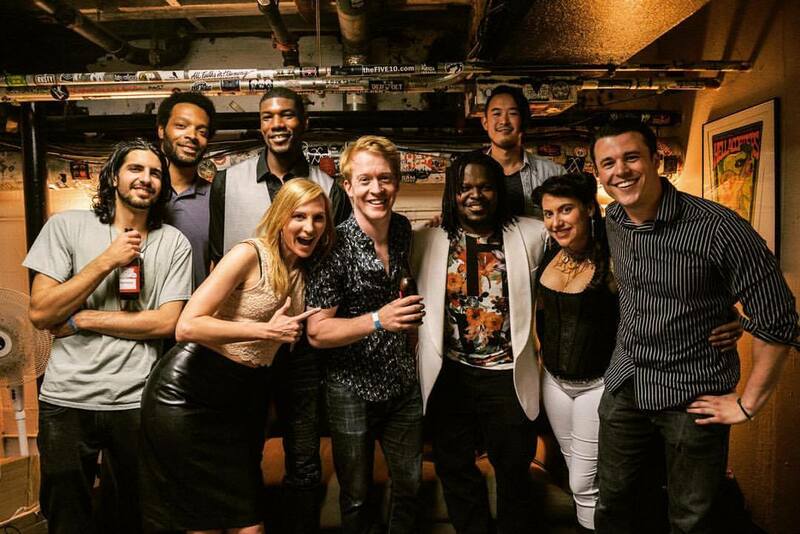 Also this year I’ve continued to have fun performing with Tommy Igoe Groove Conspiracy! 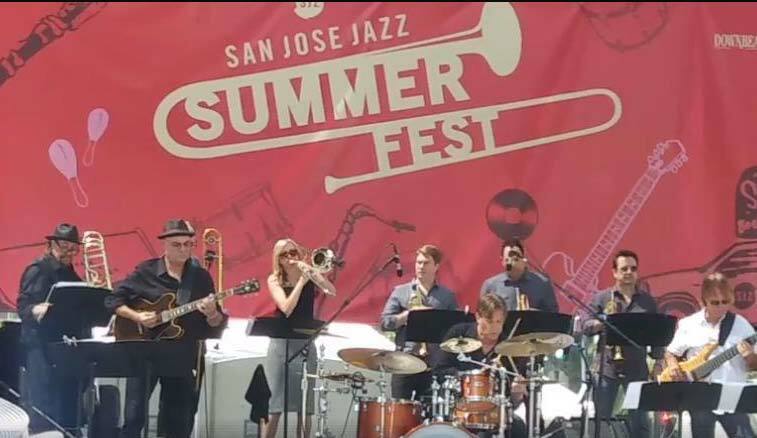 We still have our monthly residency at Yoshi’s in Oakland, and also this summer we were at San Jose Jazz Festival, Throckmorton Theatre, and others. Stay tuned for news on our 4-week tour coming in February! Also this year I’ve had a few fun gigs with Jack Mosbacher Band! We played at Slim’s and Great American Music Hall among others. Other gigs this year keeping my calendar SUPER busy have been private gigs with the cover bands Pop Rocks and some with Notorious. Always a pleasure working with people who know how to respect you as well as they make the gigs fun. 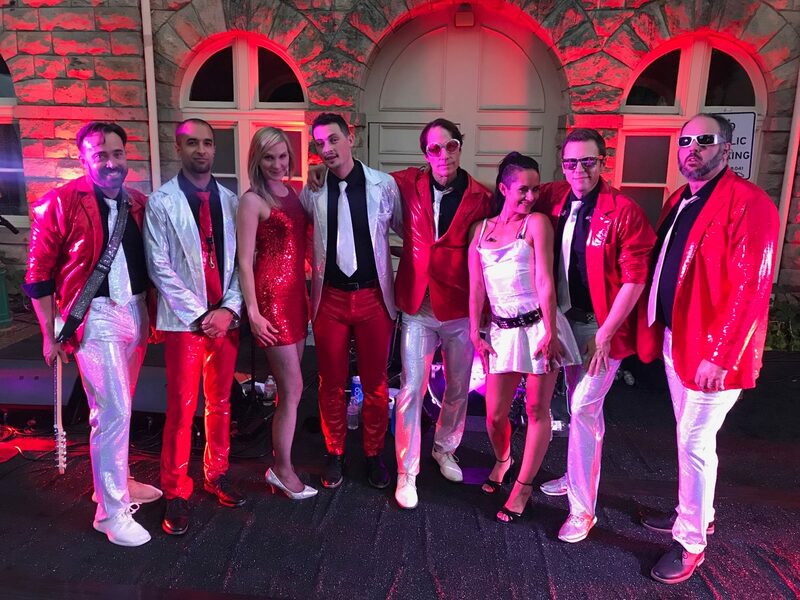 Here’s a picture of Pop Rocks from our performance at a fundraiser for children.